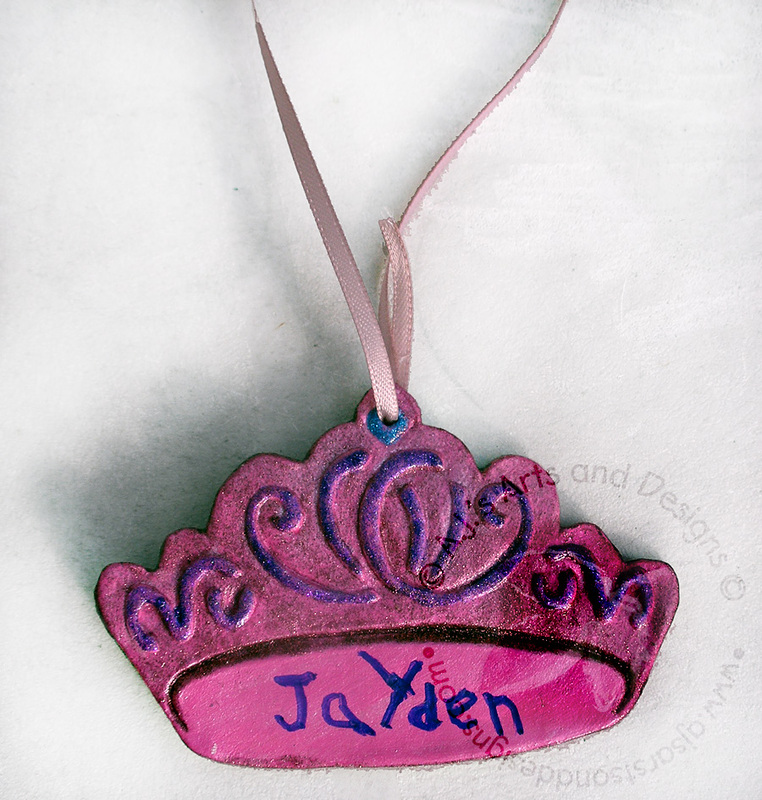 Paperclay Princess Gift Tag/Ornament | Who Are You Calling Crafty? My daughter was invited to a “Princess Themed” Birthday Party a couple of weekends ago. I always try and do something handmade for the kids. I honestly don’t know how many people really appreciate this but I know if my child got something like this I would cherish it. 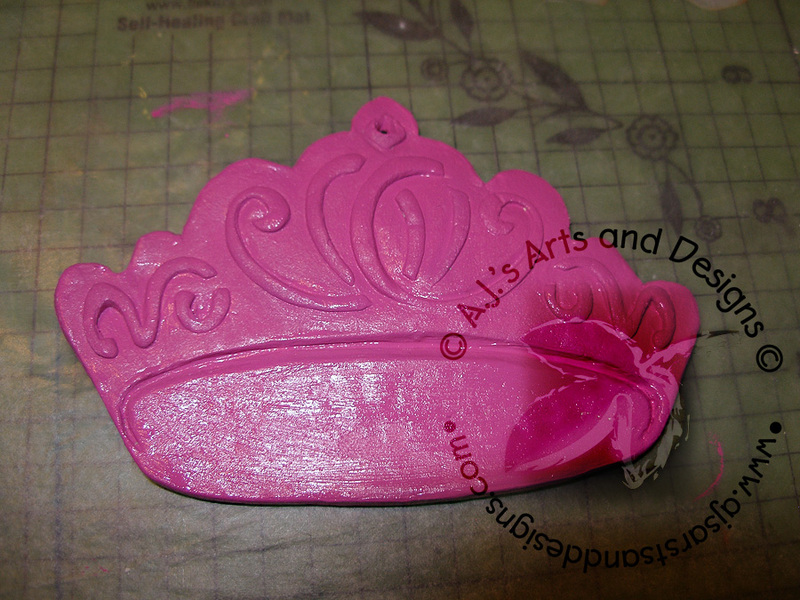 My daughter has a Princess stencil (cheap plastic wall stencil) that had a good size crown on it about 4″ width. 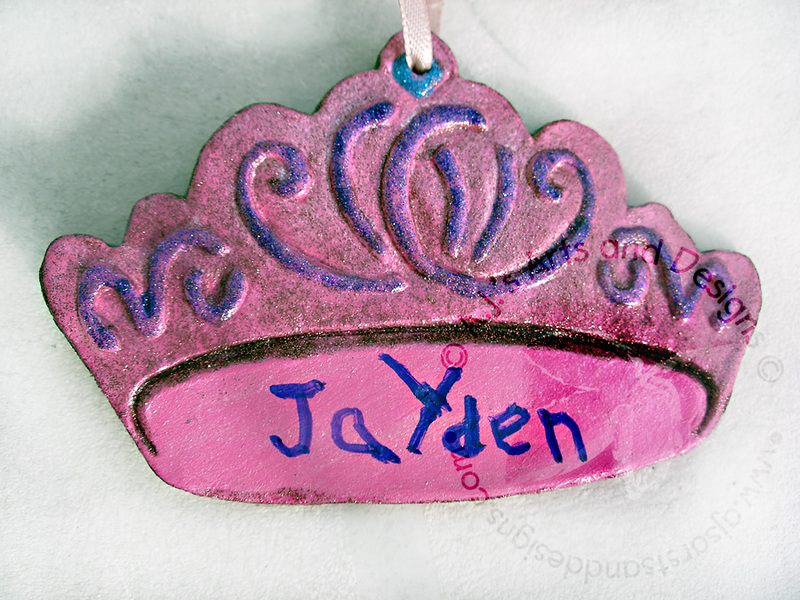 I decided I had to make a gift tag/ornament for my daughter’s friend with my daughter’s help of course. 1. 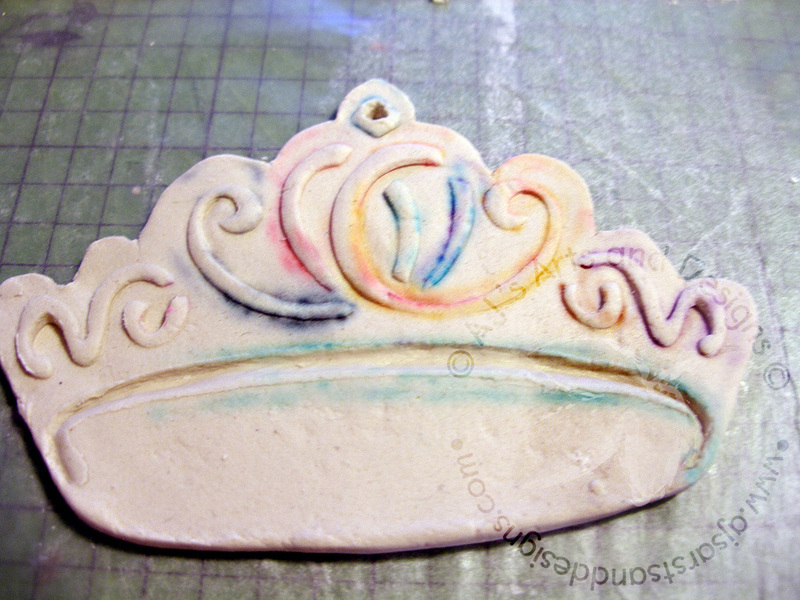 Roll out Paperclay to approximently 1/4″ thickness. 2. 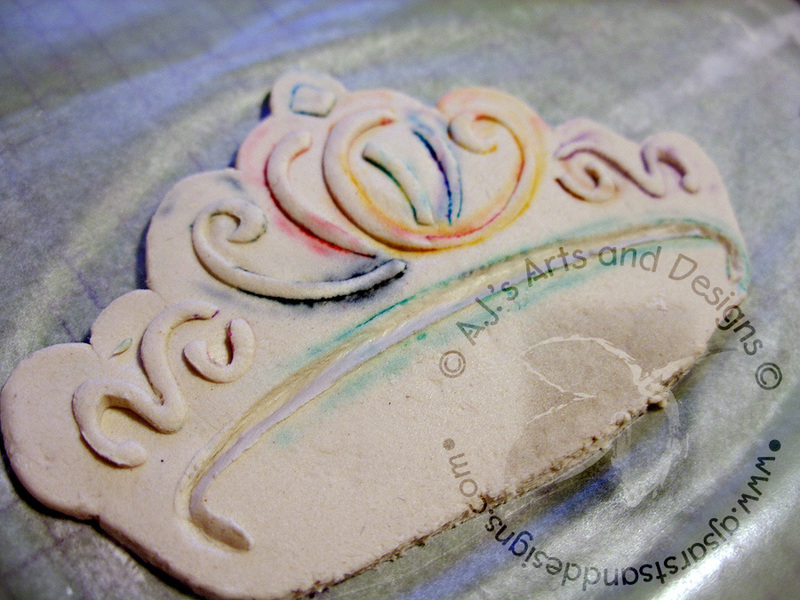 Press stencil into paperclay to get an impression of the stencil in the clay. 3. 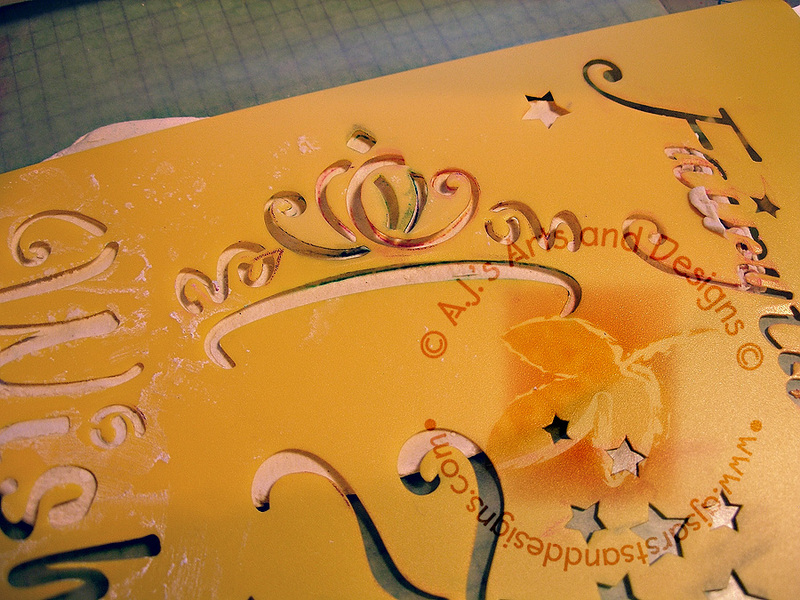 Cut or the stenciled piece out. 4. 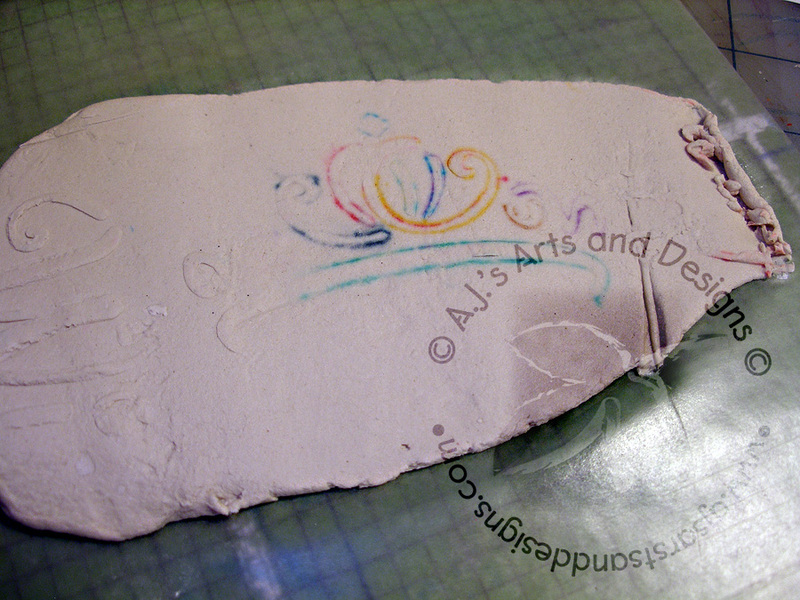 Place stencil back on paperclay piece matching up the lines. Press harder so the clay comes up through the stencil. Remove stencil carefully. 5. 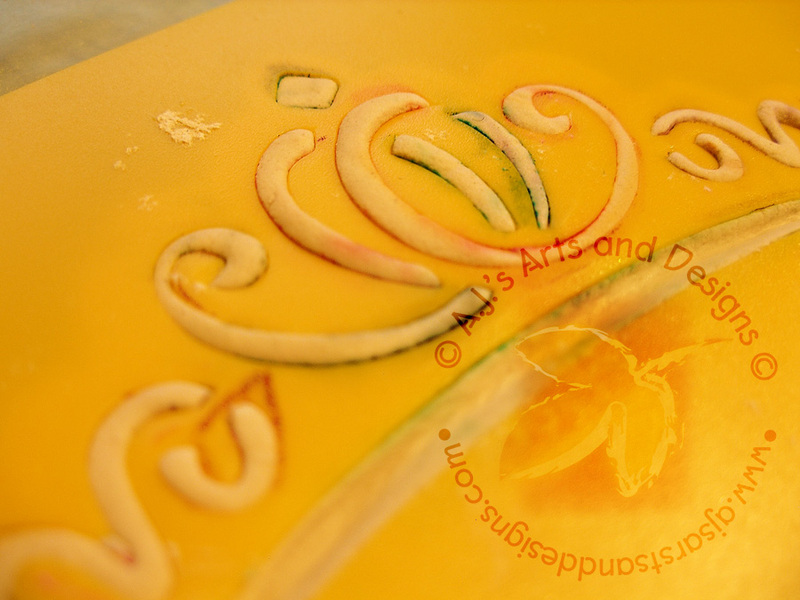 Refine edges and let dry for 24 hours. 6. 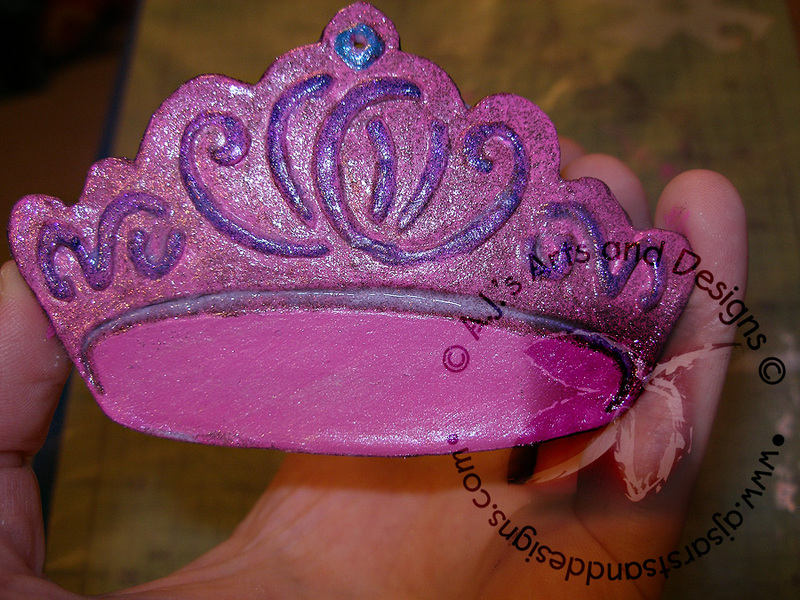 Paint – we used Liquitex Iridescent Medium and Liquitex Soft Body Pink Paint for a base, then used Extreme Glitter to add the appropriate bling for a princess. I let my daughter write her friend’s name on the front and a To: From: and the date on the back. Seal with a sealant. Add ribbon for hanging. 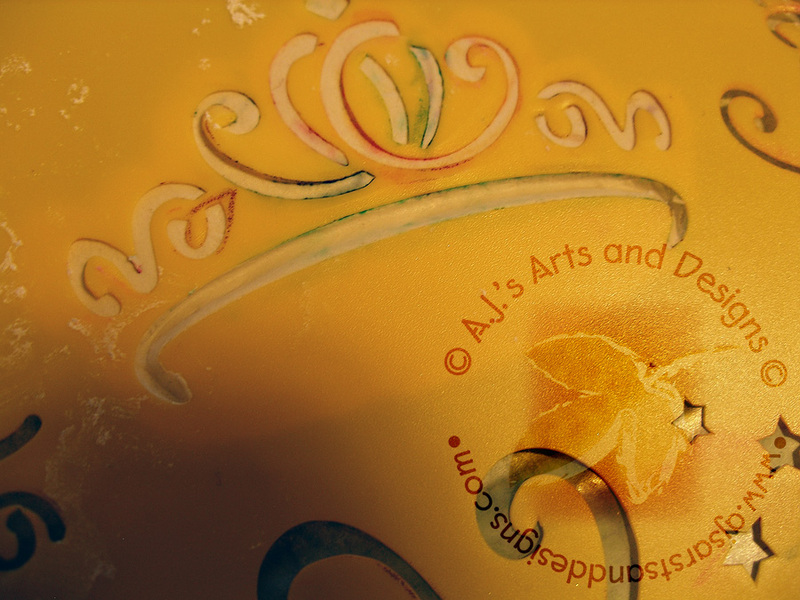 Back of ornament – I also added the year. 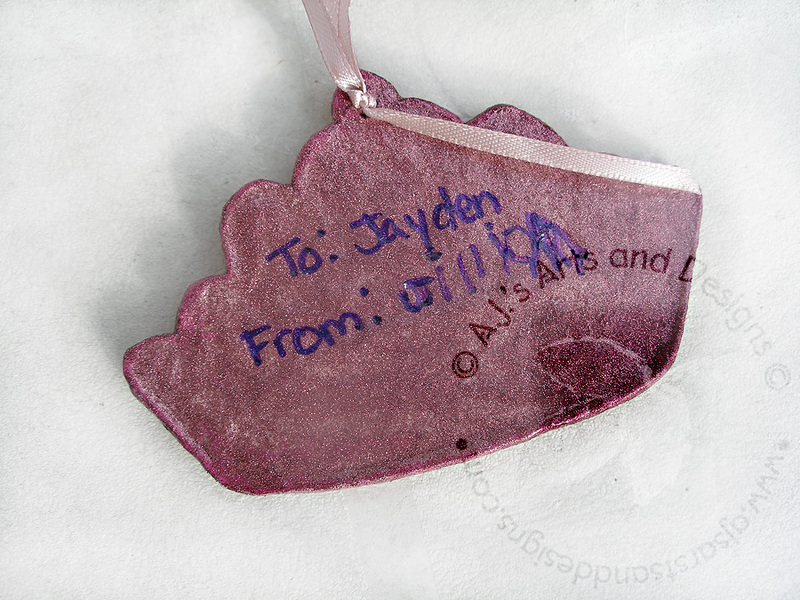 Pingback: Gift Tag Ornaments | Who Are You Calling Crafty?